Coaches ask questions. Counsellors and therapists ask questions. Even good presenters and leaders ask questions. Lots of questions. If you've got a point to make, just say it, right? Why beat around the bush, go round the houses? The answer is simple. You don't listen. It's not your fault. From an early age, you developed an abstract map of reality, and as that map formed, your ability to listen to others diminished. 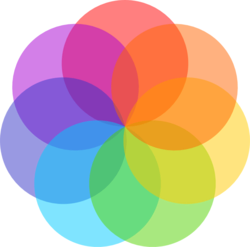 Your map contains physical constructs, so that you can find your car's ignition or your bedside lamp even in the dark, and it contains abstract constructs too, such as relationships, desires and problems. A problem is something that prevents you from achieving a goal, and it's a collection of representations. Think about any problem that you have, right now. It's a collection of elements, isn't it? Objects, people, conversations, beliefs, past experiences. This unique collection is a problem, and the reason that you can't solve it for yourself is that it's part of your map, and you go to great lengths to protect your map from outside influence. In short, you don't like being told what to think. We each have a critical filter which evaluates incoming information to judge it against our own beliefs and perception of the world. The filter is useful because it protects us from other people’s beliefs. Unfortunately, it also prevents us from accepting new information too. Any solution that you offer, no matter how brilliantly conceived, will be rejected. Fortunately, we can bypass this filter quite easily. Secondly, you can use the two forms of communication which will bypass the critical filter. One is a story; an account of events which aren't here or now. The other is a question. 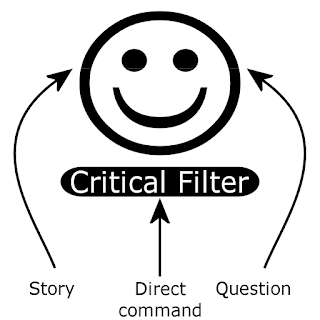 Why do questions bypass the critical filter? 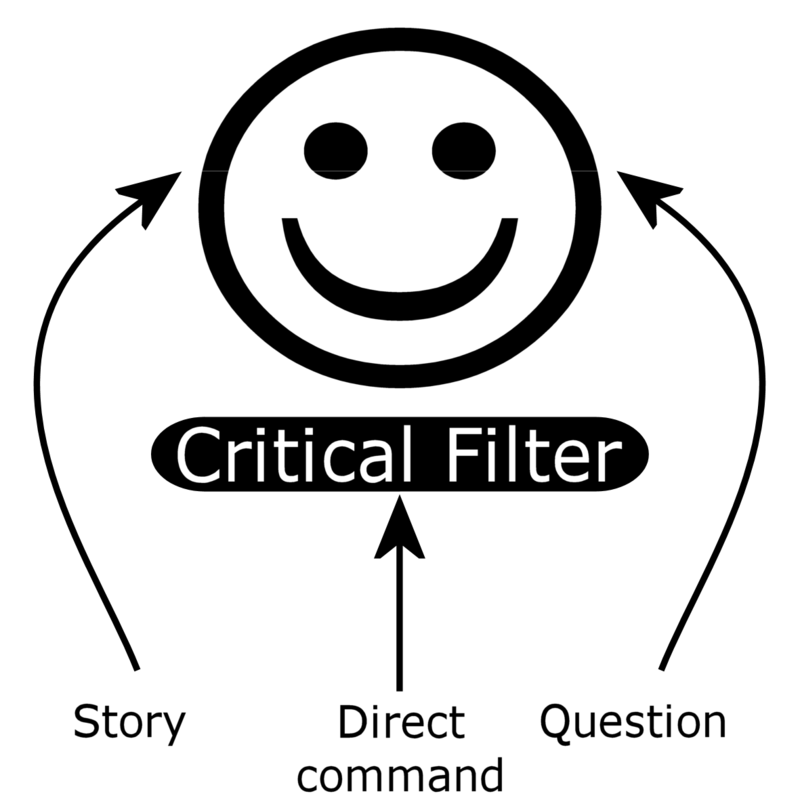 How do questions bypass the critical filter? Questions don’t convey any information or instructions, do they? A statement ends with a tag question, such as couldn’t it?, don’t they?, do we?, can it? A question bypasses the critical filter completely, because it conveys no dangerous information, it requests information and since you're always right, you love to talk about what you think. However, the question directs your attention, and can help you to uncover aspects of the problem that you were unable, or unwilling, to consider previously. If you ask someone questions about the problem, you're probably gathering information to give them a solution. After all, if they're telling you about a problem then logically they haven't solved it and they can't solve it, so they're asking you to solve it. When someone says, "I don't want you to solve it for me, I'm just thinking out loud, I'm just letting off steam" then don't believe them. That's just their way of saying, "Don't tell me what to think!" So here's the paradox. The person is stuck. They can't find a solution, but they don't want to be given a solution. Somehow, we have to gently direct them towards the resources that they already have. Asking questions about the problem doesn't help, so we have to ask questions which are not about the problem. Weird, eh? I know. It seems counter-intuitive. Yet it really does 'work'. So much so that I created a free online tool and app to help you do it, called The Unsticker. And I'll be presenting The Unsticker at the International NLP Conference on May 19th 2018. I know, it seems like an advert, but the app really is free. No advertising or anything. It's my gift to the world. You can, of course, also learn the principles of asking questions for yourself. But would you want to? Peter Freeth is a SNLP Master Trainer, author of more than a dozen books, coach, talent management expert and lots more besides. He has been learning, innovating and teaching NLP for over 20 years and has created many new techniques and tools that are used by coaches and trainers all over the world. Peter runs training up to Trainer level in the UK, Europe and Asia.